If all the sciences in the world can explain everything... Can PHYSICS explain why we fall in love with somoene without being affected by gravity? 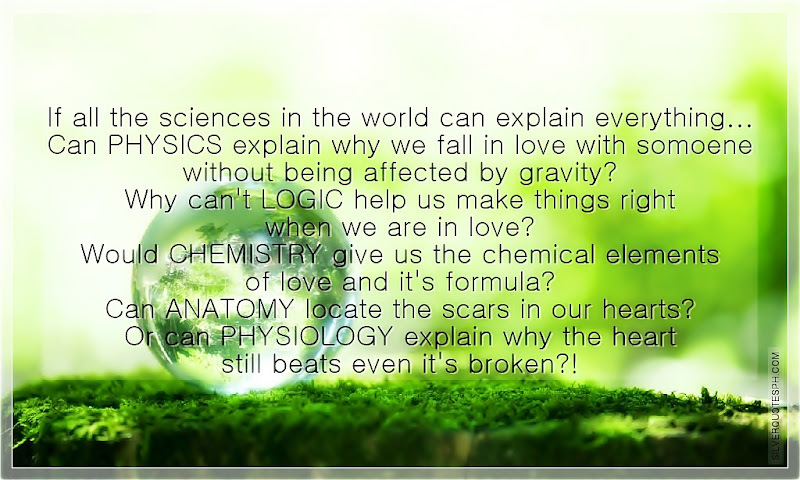 Why can't LOGIC help us make things right when we are in love? Would CHEMISTRY give us the chemical elements of love and it's formula? Can ANATOMY locate the scars in our hearts? Or can PHYSIOLOGY explain why the heart still beats even it's broken? !